Industrial cable are divided into low-voltage, medium-voltage, high-voltage and ultra-high-voltage power cables, control cables, submarine cables, overhead cables, steel-cored aluminum strands, locomotive cables and marine cables. The x ray high voltage connector used in X-ray machine can be used in medical X-ray machine and industrial X-ray machine. 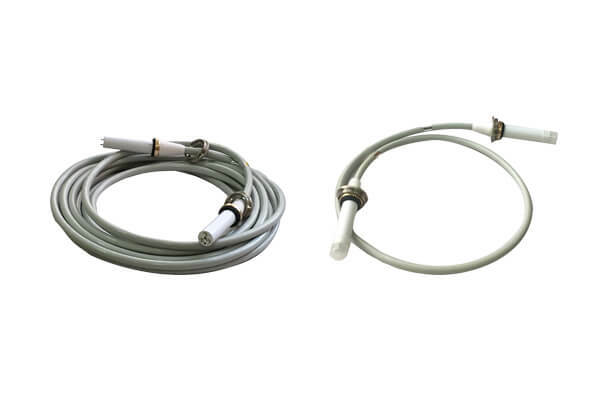 The high-voltage cable used in X-ray machine connects the high-voltage generator and the ball tube, and plays the role of transmitting high-voltage for the ball tube. It has 75KV and 90KV. High voltage cables for X-ray machines are different from industrial cable. High voltage cables for X-ray machines are Newheek’s main products and cannot replace industrial cable. There are two types of high-voltage cables for X-ray machine, 90 KV and 75 KV. The length of high-voltage cables for X-ray machine is between 2 and 16 meters. Introduction of manufacturers of connectors?